for $98,500 with 2 bedrooms and 1 full bath. This 1,084 square foot home was built in 1979 on a lot size of 0.24 Acre(s). Enjoy this quaint 3/2 remodled block home located on corner lot with recreational park that is well taking care of behind property. Great investment property, retirement home or beginning home. Features updated kitchen cabinets, retiled bathroom, florida room family/dinning room, screened front porch, metal roof, shed and more. Close to shopping and doctors. 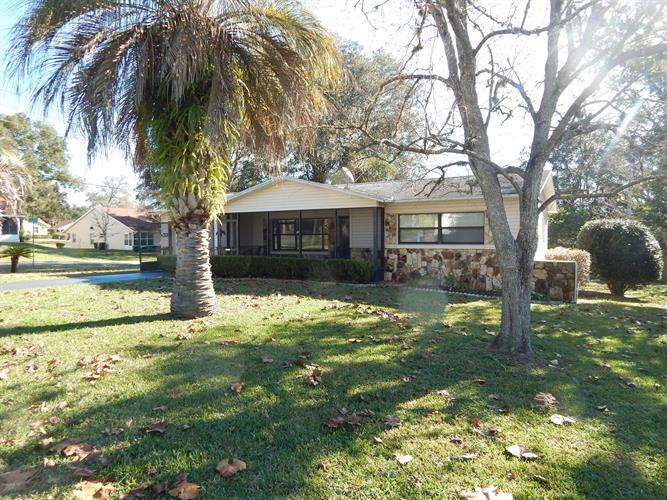 Easy access to Crystal River, Ocala, & Inverness. This is a nice home waiting for you to enjoy.